The Army has their Tier 1 Operatives known as “Delta Force” or simply “the Unit”. The Navy counters with a group so secretive the name changes depending on who your talking to. “DevGru” “Team Six” and “The Boys” to name a few. 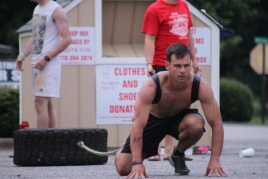 To get into Delta or Team Six you must serve as a Special Forces Operator (Navy SEAL or Green Beret/Ranger) with an impeccable record on and off the field. Only the top 1% of Navy SEALs are even acknowledged for this honor. You will then be invited to try out. Not everyone of this super elite hand picked group makes the “try out”. Timed 40 mile route while carrying a 45 pound ruck sack over rough, steep terrain. Training is intense with 16 hour days and mind numbing pressure as the new picked but “seasoned” candidates work their way through the initial Tier 1 training. NavySEALS.com – SEALs bet their life on this gear so you don’t have to. Operatives are then formed up into cells and deployed around the world to hot spots to exterminate bad guys and rescued those in need. 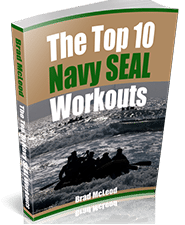 Navy SEALs Use and Recommend Intensity Nutrition.